David Hall received an email from a Swanley lady who had recently lost her Brother and asked for a price for a funeral ending at Bobbing Crematorium. As the Leyland Beaver had previously been to Swanley, David made the lady aware that two Funeral Directors were located next door to each other with ample parking for the lorry within the taxi ranks on the opposite side of the street. Unfortunately the Family chose the Funeral Director on the east side of Swanley whose facility is in Manse Parade, a parade of 8 shops with a narrow unmade up rear access road that was unsuitable for the 1950 Leyland Beaver. To make matters worse either side of the Funeral Directors were Caffé Cinos and a Newsagent and David envisaged that the area in front of the shops would be congested in the early morning, with people popping in for a paper and contractors in their vans collecting their breakfasts from the Café. Often in preparing for funerals David needs to solve some logistical problems and this Swanley funeral was no exception. For Swanley funerals David parks his lorry overnight in Kwik Fit’s pristine facility in Sevenoaks Road, using a relationship established with Kwik Fit Head Office Management which allows him to park anywhere in Britain provided the lorry will fit into the garage area. The magic about Kwik Fit Swanley is that there is a low cost hotel within walking distance, which offers a bed only and David gets his breakfast at Costa Coffee on his way to collect the lorry at 0800 hours. Detailed internet research of the east Swanley area highlighted that the Jehovah Witnesses had a Kingdom Hall with lots of land within a secure compound with a locked gate just around the corner from the Funeral Directors and David asked the Funeral Arranger to make an approach. A relationship was established and agreement reached for David to have use of the yard from 0930 hours when someone would arrive to open the gate. So David had to work on the problem of what to do with the Leyland Beaver between 0800 and 0930 hours. Through the night the solution came to David, which involved getting up early, foregoing his Costa Coffee breakfast, collecting the lorry at 0700 hours and having his breakfast in the Café next to the Funeral Directors. Looking at the Caffé Cinos website, it stated that they could deliver breakfasts so David rang the Café, explained what he would be doing from the Funeral Directors next door, and asked if a breakfast could be delivered to his lorry whilst he was sitting on double yellow lines, his fallback plan if no space was available. Around this time David received a phone call about a funeral in Salisbury for the day after the Bobbing Crematorium funeral. David normally plans at least a day between funerals to prepare the support structure for the flowers and to wash the lorry. 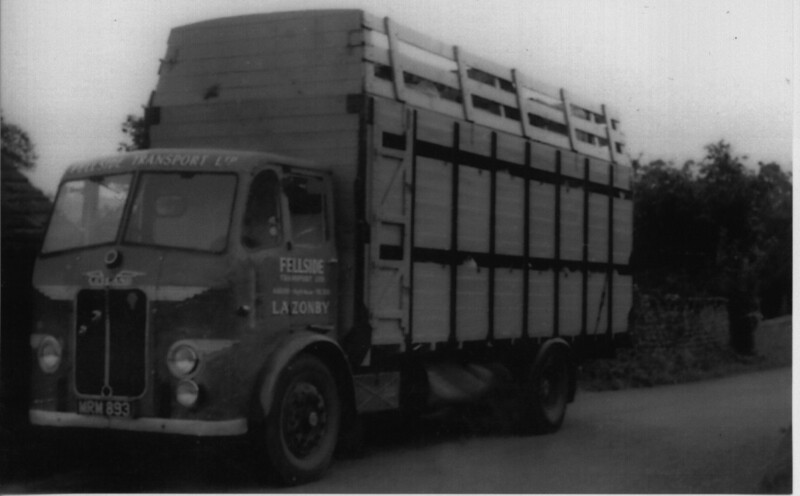 However, the Family were very keen to use the 1950 Leyland Beaver and David agreed to do the funeral knowing that this would mean working late into the night, an early start and washing the lorry at the Sixpenny Handley Funeral Directors. The Salisbury Family were so pleased with David’s commitment that the payment for their Dad’s funeral was transferred immediately into David’s Bank Account. David arrived early at Kwik Fit on the Sunday afternoon and the staff members were pleased to see him again only 5 months at David’s last Swanley funeral. Jamie Jack exceeded David’s expectations in two ways. He asked David to reverse the Leyland Beaver into the MOT Bay even though 60 minutes were left of their trading window and in addition Jamie said that he and a colleague would be in at 0700 hours which was fundamental for David’s plan for an early start, which was his only chance of finding any space near the Funeral Directors. David collected the lorry at 0700 hours and took the back road into Swanley East which involved some very narrow lanes. As the Leyland Beaver arrived at the parade of shops, David saw, as he had expected, vans, cars and delivery vehicles in front of the Café and Newsagent. However, David noticed that there was just enough room for him to park his lorry on the area in front of the Mann Lettings Estate Agents at the far end of the parade. This meant parking the lorry within 12 inches of the Estate Agent’s Manager’s car which was positioned in front of his shop and at right angles to the radiator grill of the Leyland Beaver. The Manager came out to check that there was no damage to his car and David introduced himself. The Manager, Gary Steadman, was very impressed with the pristine lorry and he agreed that David could park there whilst he had his breakfast in the Café. The owner of the Caffé Cinos was very welcoming and offered David a choice in how he wanted his eggs cooked and if he wanted tinned plum tomatoes or fresh tomatoes. By opting for the tinned plum tomatoes, David replicated the ‘All Day Breakfast’ that Archie Stamper, a Fellside Transport Livestock Driver, had bought him in 1958 at a Carlisle Café when they were on their way back from Hawick in a 1950 Leyland Beaver. Travelling in MRM 893 changed David’s life and influenced his decision to follow a career in transport. This is the reason why David’s wife bought him MXV 610 in 1995 so that he could relive the beautiful boyhood memories that he had with Fellside Transport. As David left the Caffé Cinos he noticed that the main B2173 road from the A20 was gridlocked and that someone had parked outside the gates of the Jehovah Witnesses car park. David asked the Funeral Director whether the most sensible strategy would be to abandon the previous plan of transferring the coffin out of sight from a Private Ambulance and to load in front of the Mann Lettings Estate Agents Shop. David and the Funeral Arranger approached Gary Steadman and David thought that the young lady alongside him would have to plead impassionedly for ‘Help’ LikeTina Turner in Sings Like The Beatles BBC 4 (Won’t you please, please, please, help me!). However, David’s concerns were misplaced because Gary was happy to help and David would like to thank Mann Lettings for their kindness and the tolerance of the staff as the Leyland Beaver was parked in the area reserved for their cars. Whilst the service was taking place at Bobbing Crematorium, David adjusted the coffin stops ready for Salisbury the following day and took steps to ensure that the display could be quickly removed when he got home as a minimalistic approach was required for the funeral which would start at a Sixpenny Handley Funeral Director. David left Bobbing Crematorium at 1430 hours and by taking small roads to the south of Guildford, David avoid rush hour traffic in the town and after 4 hours and 20 minutes driving he reached Sutton Scotney Services on the A34 within 10 minutes of the deadline to take a 45 minutes rest break. After having a burger for his tea David set out for home, refueling at Ludgershall just before the Service Station closed for the night. When the Leyland Beaver arrived back at Bradford-on-Avon it was almost 2130 hours and when David pulled the engine stop, much activity took place a bit like a Pit Stop in Formula 1 Racing. Whilst David dismantled the display on the deck, David’s wife was cleaning the lorry and it wasn’t until 2345 hours did they get to bed. The alarm went off at 0500 hours and David set off for Six Penny Handley in Dorset. The Leyland Beaver had no problem climbing the steep hairpin bends on Zig Zag Hill on the B3081 and David was amazed at the wonderful long distant views from the top of the hill. There is a saying in the funeral world that when it comes to a Family’s requests nothing is wrong, it is only different. David found it very different having a funeral with no Funeral Director. Richard Adlem had prepared the body but took no part in the funeral. The Family sourced the coffin, provided the Bearers and booked the slot at Salisbury Crematorium. Some Funeral Directors are not best pleased when a Family pay David directly and Richard Adlem had every reason to feel bitter, but he wasn’t. He welcomed David into his back garden and they had coffee together watching the garden birds as they talked about old times. Richard was awarded an MBE for his services to the funeral industry and what broke the ice between them was when David told Richard that the previous night he had slowed down on the A25 through Westerham to salute the statue of Winston Churchill. David knew his way to Salisbury Crematorium but when he got there he had no one to page him up to the porte cochere. David had to ask the Deceased’s Grandson, who was travelling with him in the cab, to get out and find someone looking important and provide a signal when David had to travel up the hill.